Keep up with my News! I will have four murals at the new Cadence Apartments building in the Eliot Neighborhood of NE Portland. 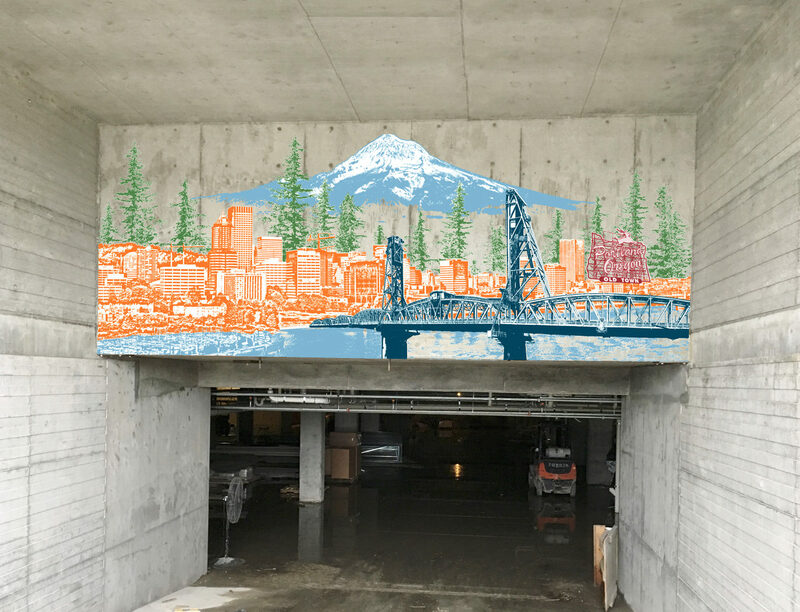 Three of the murals will be on the elevator vestibule inside the parking garage and one (pictured above) will be painted on the parking garage entrance. The image is a Photoshop mockup…the real thing will be even better! This project will go through May and should be done by the beginning of June. Stay tuned for updates and progress pictures can be viewed on my News page. Encapsulating city pride and a strongly felt sense of place through a visual narrative. Copyright © 2017 Beth Kerschen. All Rights Reserved.